#givingtuesday is the day to do good stuff for charity and is a growing global movement now spanning five continents. But the heart of #GivingTuesday is community action. The UK joined the movement in May 2014. Since then, the day has gone on to become one of Britain’s biggest days for charities, raising millions of pounds for good causes. organise a coffee morning with your very own Bake Off! 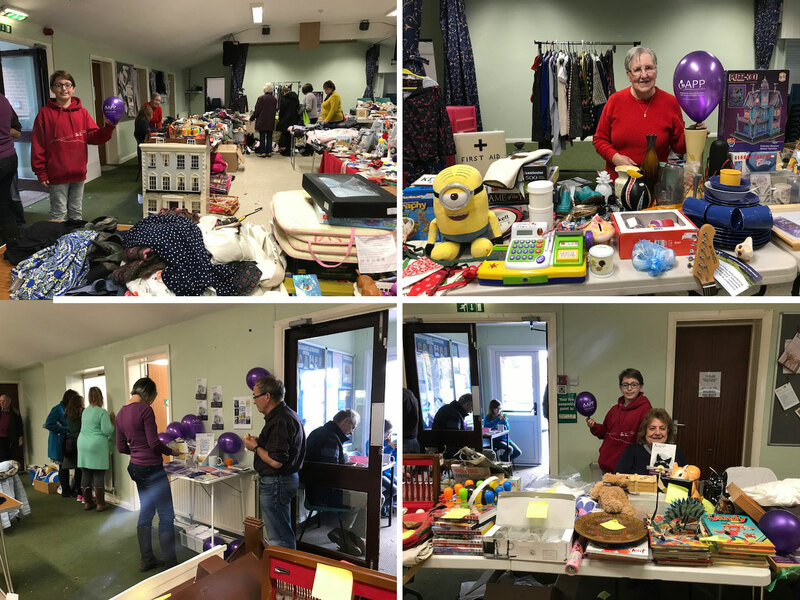 or why not take this as a perfect opportunity to get rid of unwanted clothes and bric-a-brac and have your own garage sale, or, get together with friends to host a jumble sale! A donation of just £5 enables us to send a copy of each of our 3 Insider Guides to a woman experiencing Postpartum Psychosis, her partner or family, to provide vital information and signposting to support. 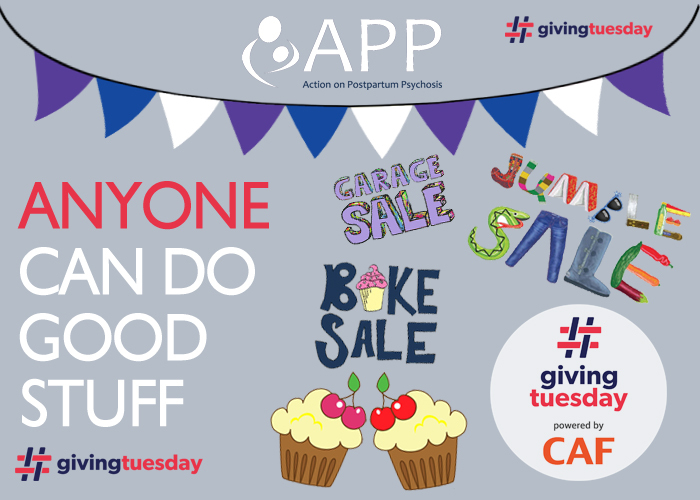 Get involved and let us know what you are doing for #givingtuesday or email us for more information. Thanks! Helping Hands for APP at Christmas charity fair! APP, supported by some of the women from “Helping Hands” of Swadlincote , manned 2 stalls at a charity Xmas fair on Saturday 11th November in Rosliston village hall. Piles of bargains were there to be grabbed including APP charity cards. Delicious lunches were served by Helping Hands’ friends with proceeds from these going to other charities. Warm thanks go to all the ladies from Helping Hands - especially to “Mrs Motivator”- Angela and to Janet for all the hard work. Also: to all of APP’s steadfast friends who managed, yet again, to donate enough items for further sales. 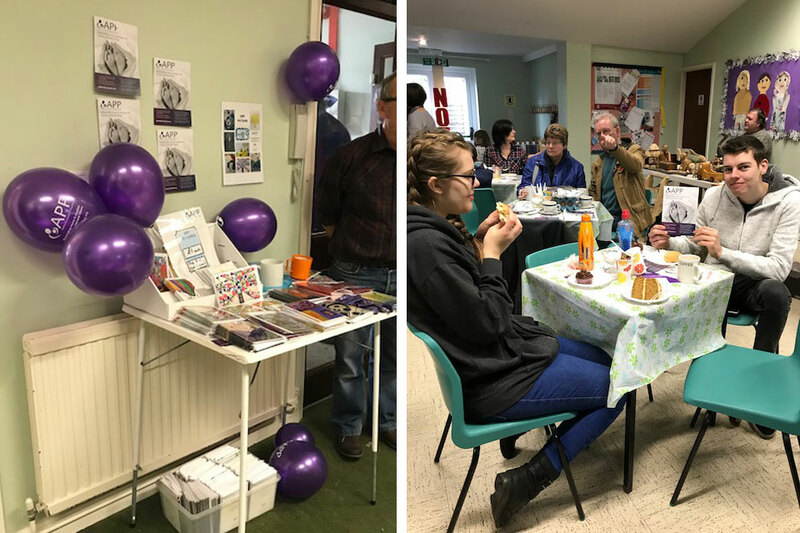 Sue Blamire, APP’s Treasurer, did a great job with Adrian on the day, and managed to bank just over £300 for APP’s funds. A wonderful sum in a very short time and for just 2 charity stalls! Thank you all. Holly runs the Thames Meander! "The weather was wet to start but dried up in the afternoon. Unfortunately the Thames had flooded the path in parts so we had an extra 1k detour and very soggy feet! Time to be announced but around the 5hours 40min mark. So glad to get Marathon 9 done and next one is next weekend at the Remembrance Marathon along the Thames. Please support Holly's fantastic marathon challenge via her Just Giving page here. 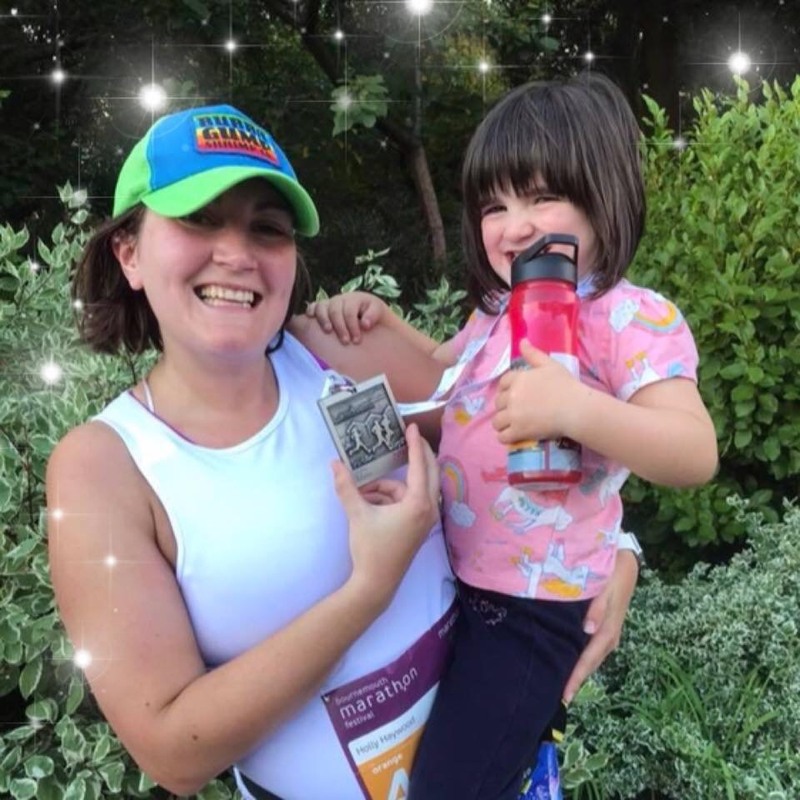 Big thanks to Holly for her dedication and fantastic achievement so far, and well done to Imogen too, for her continued support at the finish line! 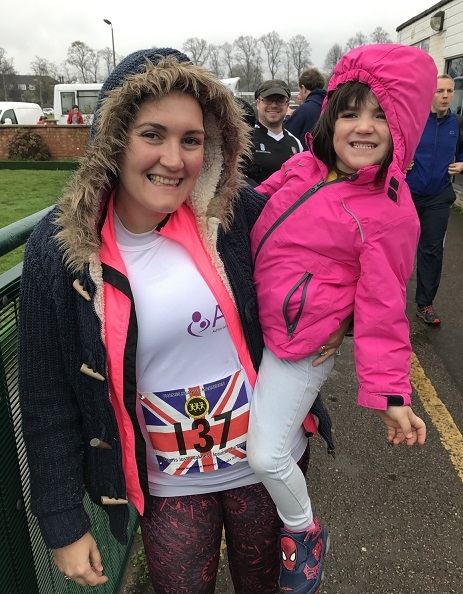 We wish Holly all the best for marathon number 10, as she takes on the Remembrance Marathon on Saturday 11th November along the Thames, and hope for slightly less soggy feet this time! Fundraising evening at Royal College of Psychiatrists! 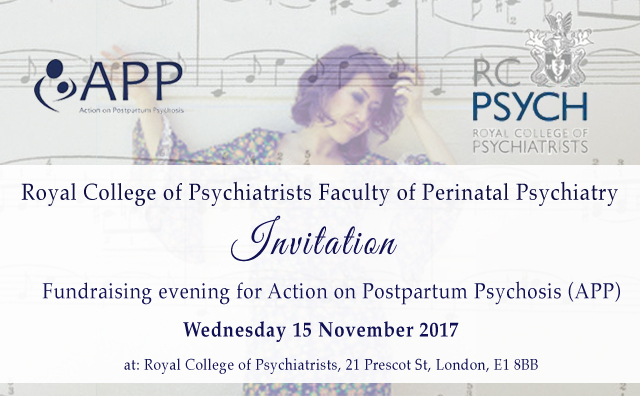 The Royal College of Psychiatrists have organised a fantastic fundraising evening in aid of APP, taking place on Wednesday 15th November at the Royal College of Psychiatrists, 21 Prescot Street, London, E1 8BB. Everybody is welcome to attend the event but please book your tickets in advance! Click here for the ticket link. 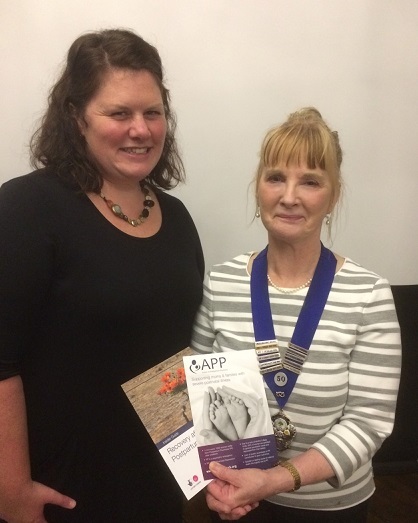 APP were delighted to be asked to speak to club members at the Cannock & District division of Soroptimist International, after President, Val Jones, put forward APP as one of their charities to highlight for the year. Jocelyn Ellams attended their meeting on 24th October in Cannock and spoke about her lived experience of PP to the members. 'Action on Postpartum Psychosis [APP] is one of the charities being highlighted this year by President Val Jones, Cannock Soroptimists. It is a small and little known charity; in fact, prior to President Val naming it only 3 members of the club had ever heard of it! Jocelyn...gave a most interesting, emotional and enlightening presentation to club members [as] she bravely told us her story, explaining thoughts that she had at the time which in one sense she knew could not be true though she could not control them. She made it possible for us all to have some understanding of the dreadful experiences she had at that time – and also proved she has completely recovered. Thanks very much to Kate Young and all at the Cannock & District Soroptimist International club! 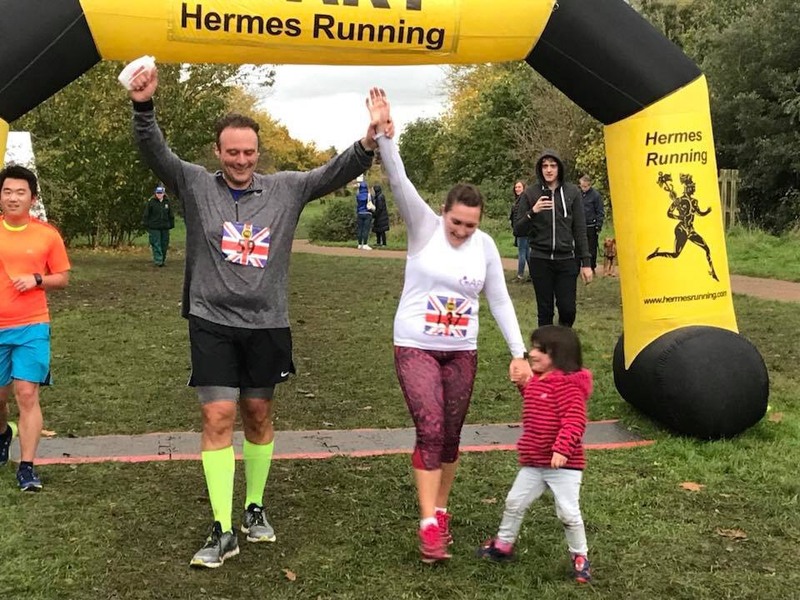 Holly completes her 8th marathon! 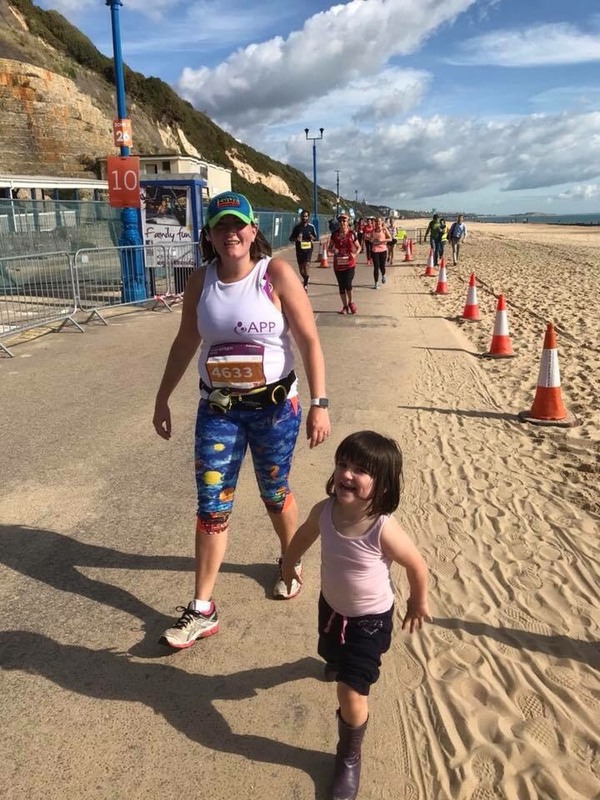 Congratulations to Holly who has just completed her 8th marathon in Bournemouth on 8th October with a PB (personal best)! Holly now only has 4 marathons left to run in her huge challenge of completing 12 marathons in 12 months, we are all very impressed! 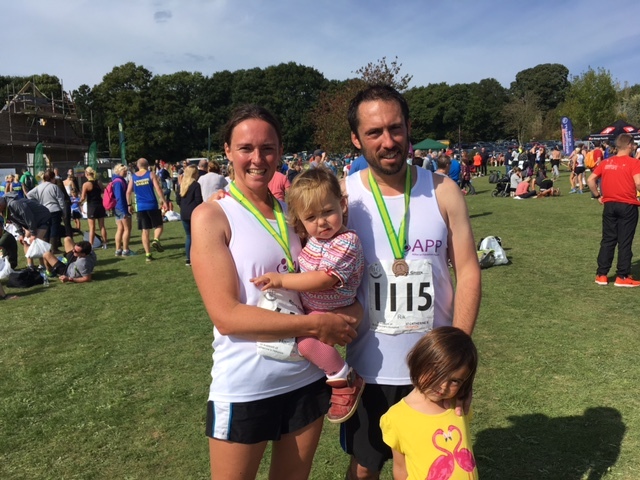 'I ran the Bournemouth marathon on the 8th of October, it was a special one for me as it's where my sister Beth went for her inpatient stay at the mother and baby unit. There were good memories from her time there that really spurred me on and I managed to finish with a personal best of 5hrs 27mins. The course itself was beautiful along the coastline and it was very well organised with lots of water and energy gel stops. Imogen, my 4 year old, even got to cross the line with me- which she loved! 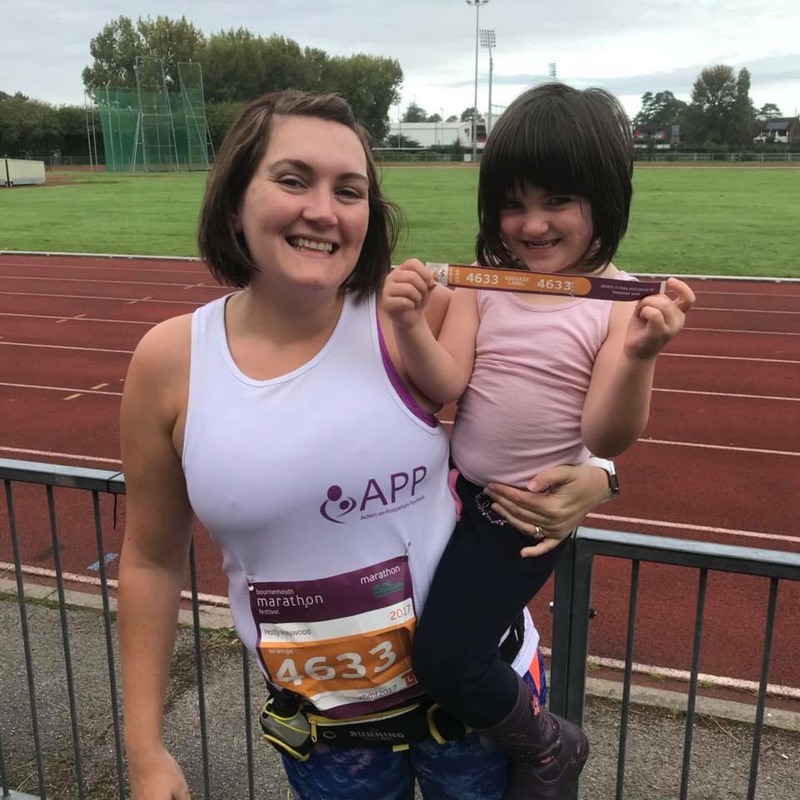 We wish Holly all the best for her 9th marathon on 31st October! Please support her amazing challenge and donate via her Just Giving page here. 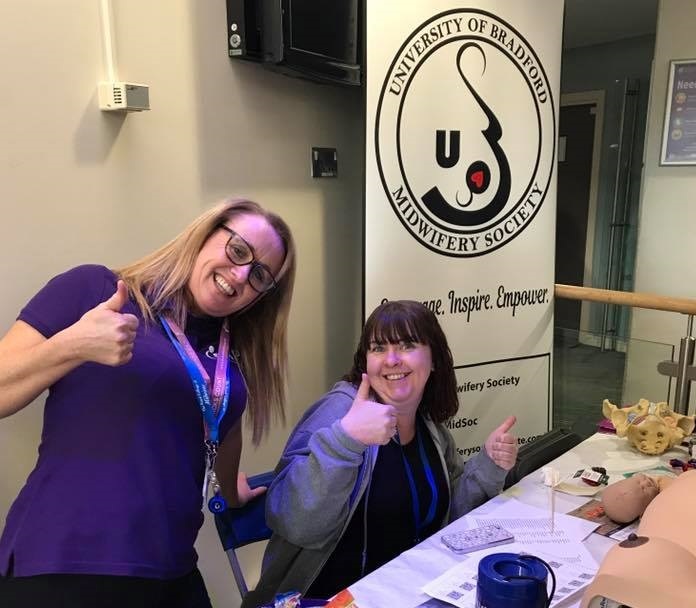 The University of Bradford Midwifery Society kick-started their busy fundraising year for APP in style with Freshers Week last month where they signed up lots of new members and donated % from each membership to APP - many thanks! Looks like they had lots of fun recruiting new members to the society too! 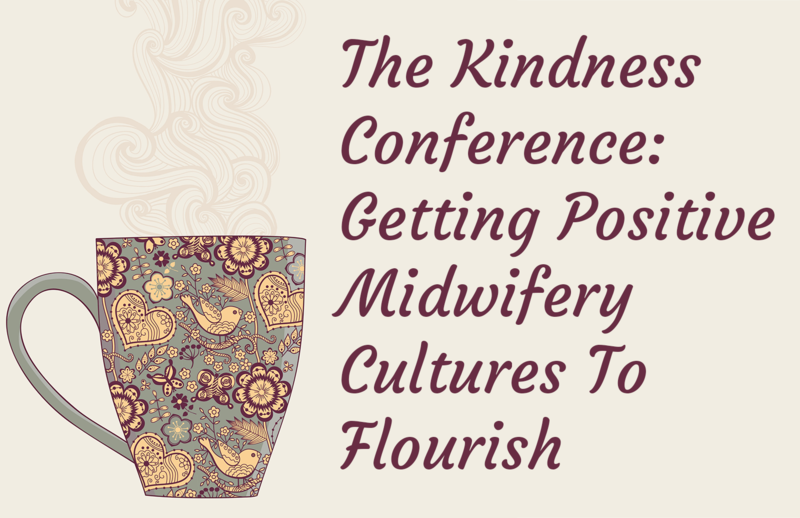 They are now very busy organising a conference with midwife, Ellie Durant called 'The kindness conference: Getting positive midwifery cultures to flourish' which is taking place on 11th November 2017. The Kindness Conference is being jointly planned and hosted by UoB Midwifery Society and any current or aspiring midwives should definitely get this in the diary! 'This conference is likely to be different from others you’ve attended. We’re not afraid of digging into the hard issues and talking about the realities of midwifery culture right now. But we’ll also be sharing some of the most inspiring, insightful and clear ideas for improving midwifery culture as well as tools and techniques that you can use to support yourself in practice right now. We want you to feel supported in your work because you’ve learnt from the best at the conference.' Read more on their Facebook event page here. Tickets are on sale now with discounted £5 tickets available for University of Bradford students and staff but these are strictly limited, with all the money being donated to APP! Please click here find out more about the event and to purchase tickets. There will be a number of stalls on the day including our own APP stall and we look forward to meeting everyone there on the day! 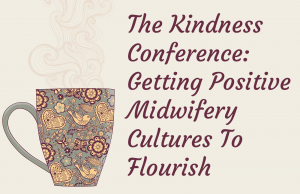 In the run up to the conference, Ellie is also doing a series of blog posts entitled 30 days of Kindness in Midwifery' which you can check out on her website here to understand more about some of the themes which will be covered at the conference. Fun Day event at The Barberry MBU! 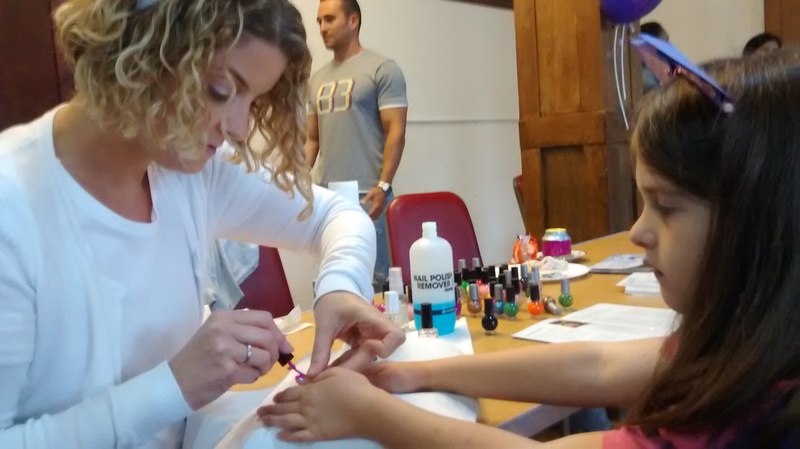 A lot of fun was had at The Barberry Centre Mother & Baby Unit's annual FUN DAY event on Sunday 3rd September! 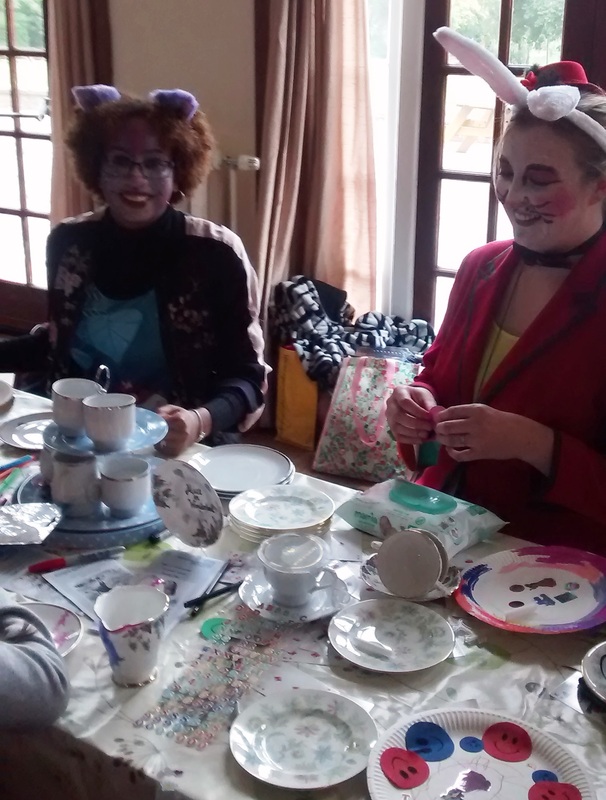 Arts and crafts, bouncy castle, face-painting, tea parties and lots more took over the the Rowheath Pavillion in Birmingham for the afternoon. 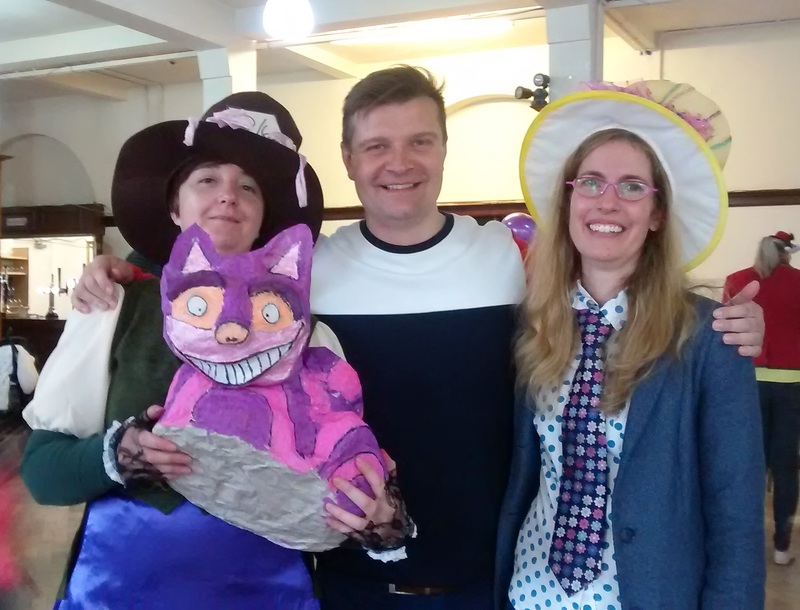 This year's theme was Alice in Wonderland (spot the Cheshire cat!) and by the looks of it everyone had a great day! 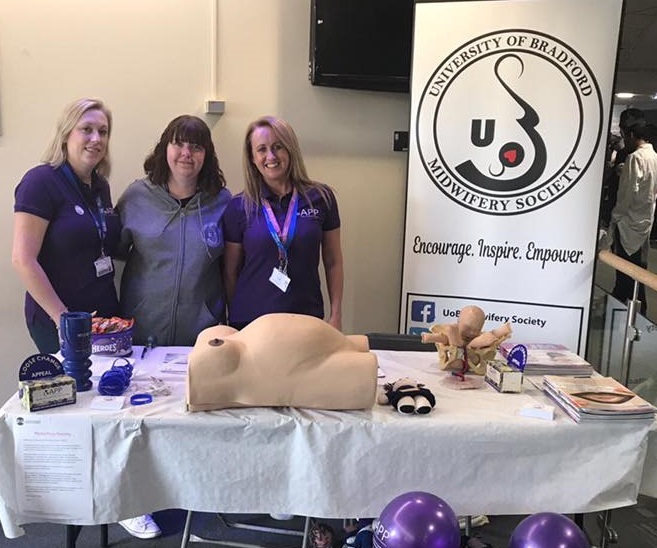 APP were delighted to have a stall at the Fun Day event and it was great to meet everyone and join in the fun - many thanks to our volunteer Katy as well! Jill runs the Royal Parks! 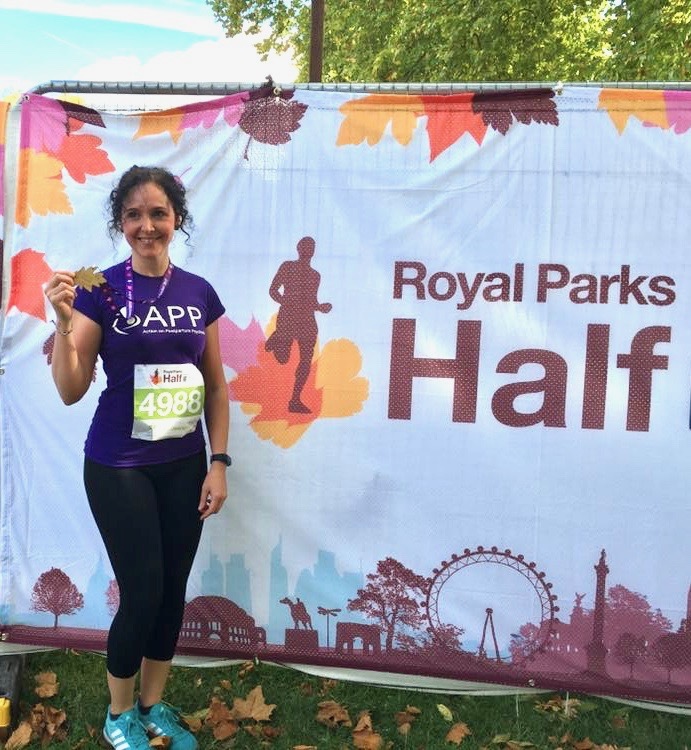 Three cheers for Jill who successfully completed the Royal Parks half marathon on Sunday 8th October! 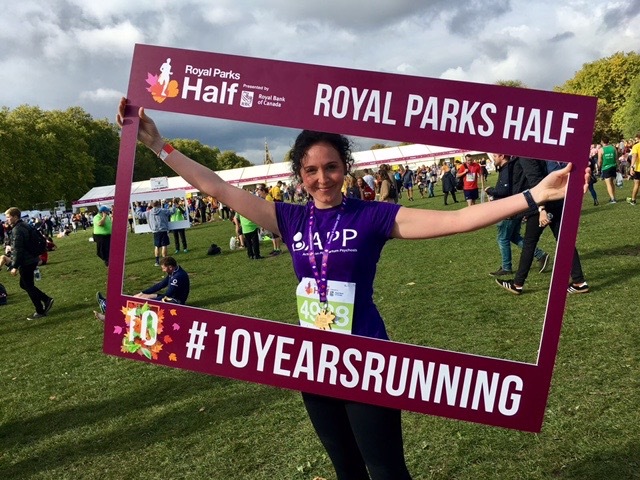 Jill lucked out on the weather with a fantastically sunny day on Sunday alongside the other 16,000 runners taking part, running through four of London's eight Royal Parks including Hyde Park, The Green Park, St James’s Park and finishing at Kensington Gardens. You can still donate via Jill's Virgin Money Giving page here - and a very big thank you to Jill! 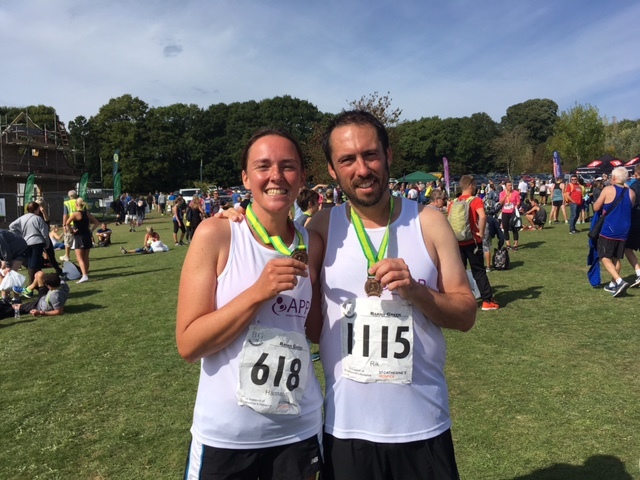 Congratulations to Rik & Hannah who successfully completed the Barns Green Half Marathon on 24th September! The donations are still coming in on their Just Giving site, please do donate what you can. What a great achievement for Hannah & Rik. Thank you both so much for supporting APP!